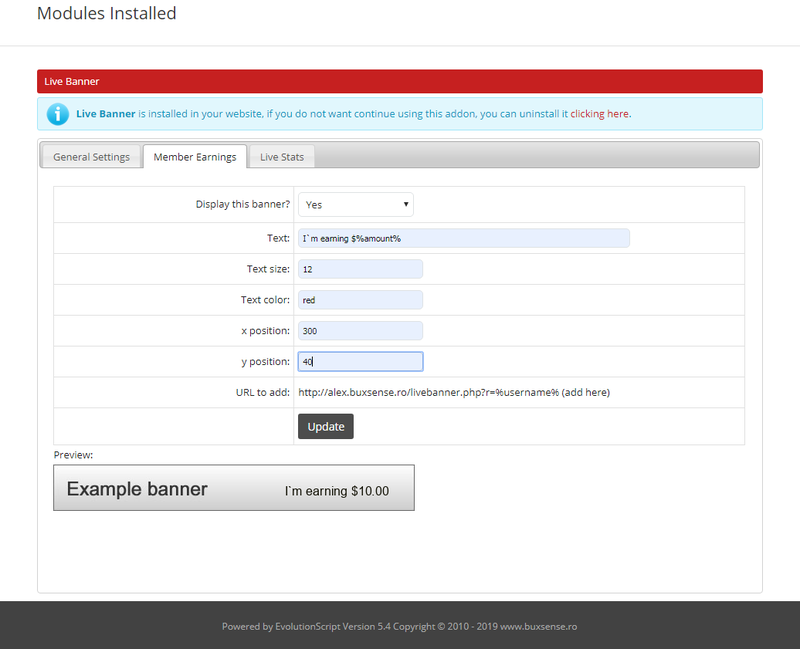 Live banner [v5.3.x] - $15.00 : BuxSense, Paid to click services - Download products instant! Allow to your members display their earnings in a banner, or just your site statistics. You can choose the image to display, colors and much more.